In 1957 one of China’s most vital and well-known trading ports held its first annual trade fair. This soon grew to become the massive, renowned Canton Trade Fair, now exhibiting a stunning range of products by exhibitors with diverse backgrounds and areas of expertise. It is held twice a year every spring and autumn. Buyers from businesses as diverse as hardware and tools, textiles and garments, and food – to name but a few – can explore the huge range of goods on offer. Each year over 200, 000 international buyers and around 300, 000 Chinese exhibitors visit the fair, and rates for a booth start from US$3500. It is one of the biggest fairs in the world, with an exhibition space of over 1 million square metres – whatever your area of business, chances are the Canton Fair will have suppliers to match. Occupying such a large area, it is crucial that potential buyers research which stalls match their specific need. The fair is so big that it is divided up into three phases. Phase 1, from October 15th – 19th, is for Electronics and Household, Electrical Appliances, Lighting Equipment, Vehicles and Spare Parts, Machinery, Hardware and Tools, Building Materials, and Chemical Products. There is also an International Pavilion for International Exhibitors in these fields. Phase 2 is from October 23rd till October 27th, and highlights Consumer Goods, Gifts, and Home Decorations. Phase 3, from October 31st till November 4th, is for those interested in Textiles and Garments, Shoes, Office Supplies, Cases and Bags, and Recreation Products, Medicines, Medical Devices and Health Products, and Food. Again, there is an International Pavilion for International Exhibitors. The fair showcases an incredible range and number of products in each industry, from innovative new designs to familiar classics. Each vendor brings in samples of their product, so you can have the chance to assess their style and quality. If you have a product that you have designed yourself, you can also bring along a sample or pictures, and find a suitable producer. Many international companies believe that language and cultural barriers present an obstacle to success in business in China. At the Canton Fair, interpreters are provided at affordable rates, or you can apply to bring along your own interpreter. Factory owners themselves have made vast improvements in their basic English skills since the Fair was established. If your company is interested in doing business in China, it is important never to underestimate the value given in East Asia to interpersonal relationships. Having the chance to meet potential business partners in person can do wonders for a business relationship, and can build trust and facilitate communication. Factory owners and suppliers in China are much more likely to respond to a face-to-face approach rather than a cold email or phone call. And even if you don’t find a suitable business partner, starting to build a network of contacts will be essential groundwork for any future projects in the area. For more information on the Canton Trade Fair, please see http://www.cantonfair.org.cn/en/. For comprehensive information on how China Holidays can help with your travel arrangements to the Canton Fair, call China Holidays’ friendly team of expert advisors on 020 7487 2999, or contact us by email on sales@chinaholidays.com. A trip to Guangzhou doesn’t have to be all work and no play. China Holidays can arrange tours to attractions such as the two thousand year-old Nan Yue Tomb, and enchanting cruises along the Pearl River, which for so long was the West’s gateway into the unknown world of China. The city’s modern metro system makes it an easy place to unwind and explore. Prices for food and transportation are considerably cheaper than in neighbouring Hong Kong. Food plays a key role in the social life of the city, both for locals and for visitors on holidays to China. Guangzhou has a multitude of international restaurants, and the local cuisine, such as fresh fish steamed with spring onion and ginger, and fragrant chicken, is deservedly famous. Much of what we in the UK consider traditional Chinese food originated in the Guangdong/Hong Kong region, and was brought over by the first wave of Chinese immigrants. British travellers will feel at home with many of the Cantonese specialities, such as delicately-flavoured dim-sum, made with local expertise honed by generation after generation of skilled family chefs. 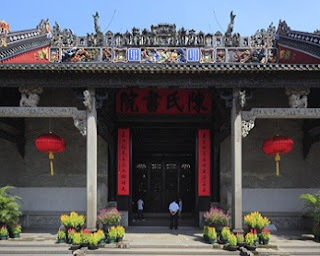 The cultural heart of Guangzhou lies in the traditional centre of the city. Locals are by-and-large welcoming and friendly, older residents relaxing, or playing a slow-paced game of badminton in the relative heat (temperatures ranging from 18-23 degrees Celsius in October). China Holidays have long-established relationships with Guangzhou’s multitude of five-star hotels, all of which cater for a range of guests with diverse business needs, at competitive prices. These hotels usually offer a free shuttle bus service to and from the Canton Trade Fair. 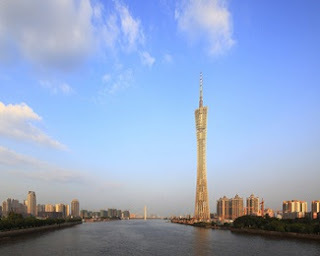 Guangzhou is also a two hour train ride from the bustling, fashionable, metropolis of Hong Kong, home to some of the most sophisticated wining and dining in the world, and an essential stop on any comprehensive tour of the Far East. You can fly with China Southern direct from London Heathrowto Guangzhou, or you can fly with airlines such as British Airways and Cathay Pacific to Hong Kong and take the train from there, taking advantage of the opportunity to visit two of East Asia’s most historically important and interesting cities. 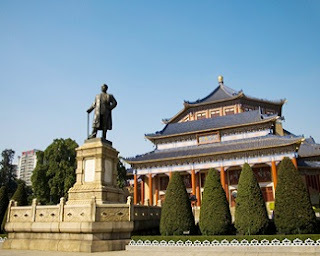 China Holidays, one of the longest established tour operators in UK can organise any day tours, hotel accommodation and transfers in Guangzhou. For more information please click here.